“Even if it Breaks Your Heart” saw the light of day on January 23, 2012, through the Republic Nashville records. 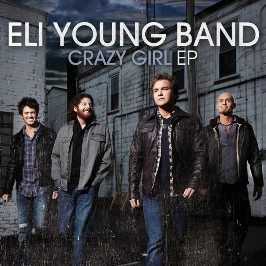 It was made popular by the Eli Young band from their album Life at Best. However, it was originally recorded by Will Hoge on his album The Wreckage and alongside songwriter Eric Paslay, the song became a huge success. It's critical reception was off the charts with a four-out-of-five star rating from Billy Dukes of Taste of Country but that did not stop Jonathan Keefe of Country Universe from being disappointed by the song and not their performance. On December 24, 2011, “Even if it Breaks Your Heart” scored position 60 on the US Billboard Country Songs Chart of the week and later becoming the number one song on the same chart during the week of July 28, 2012. On January 2012, the music video premiered as directed by Brian Lazzaro. In the US only, the song has sold over 1 million copies with over 11 million YouTube views and counting plus a platinum certification by the RIAA. The Eli Young Band performed the track live at the Outnumber Hunger concert and at Cain’s Ballroom in Tulsa OK. It received attention from two major performance rights organizations i.e. the ASCAP and the BMI that put it in the spotlight for their fans to see. However, the band was lucky enough to miss being torched when their bus caught fire while they were in Tulsa for a concert. After being together for 17 years, the group has been able to balance family and touring around the world. They are a long way from disappointing their audience with beautiful and well-coordinated music. “Even if it Breaks Your Heart” is an inspiring track of all time. Ohhh, I can hear 'em playin'. I can hear the ringin' of a beat up ol' guitar. "Keep on dreamin', even if it breaks your heart." Listen to the music playin' every Friday night. You gotta keep believin' if you wanna know for sure. Keep on dreamin', even if it breaks your heart.